Ulive - Live Video Streaming App is one of the best high quality live streaming and social network applications that allows its users to create and share their own video streaming content. You can browse to watch any video streams in the categories like New Coming or the Most Popular as you’d like to. 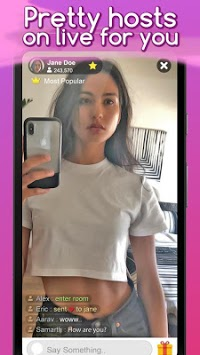 This app also allows its users to live streaming their talent like how to level up your gaming, book reviews, make up tutorials, or dance performance. While you are on Ulive - Video Live Streaming App and live stream your content, you can live chat with your audience in real time during making a video streaming. You can follow other popular streamers and you will receive notifications once they are live streaming. 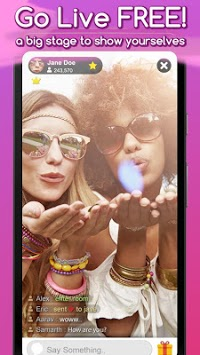 This live VDO streaming application is the best way of keeping connected with friends in real life and new friends from around the world. Our Ulive - Video Live Streaming App is a user friendly app that suitable for every user levels. Please feel free to send any suggestions or feedback to us via email. We will do our best to resolve the problem. Thank you for your download.